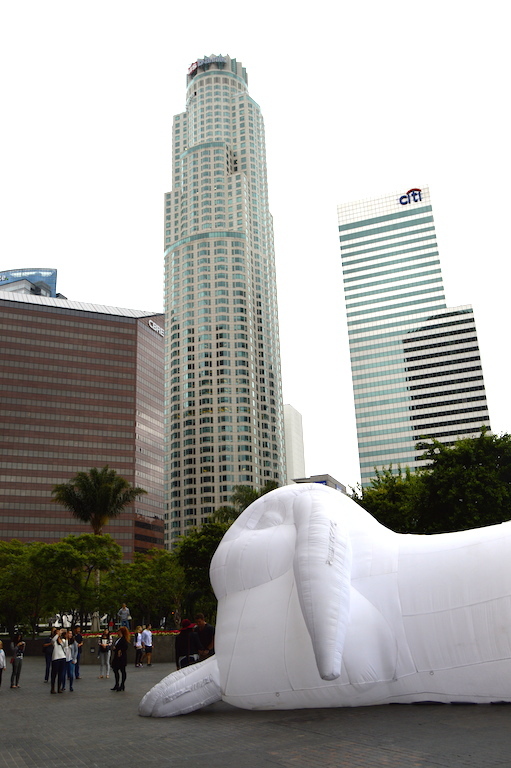 I am the type of person who gets a big bang out of weird and obscure things, say, for example, giant, inflatable bunnies. 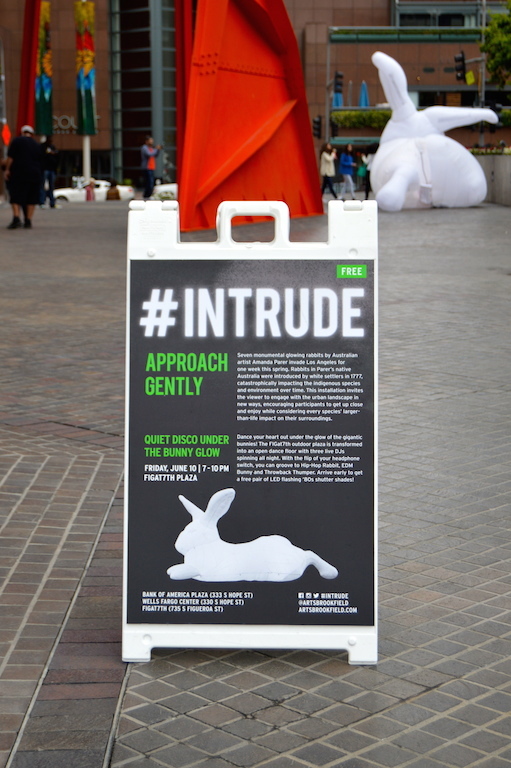 So when the Intrude exhibit, featuring three incredibly cute and incredibly huge bunnies, came to Downtown Los Angeles last week I had to stop by to visit, even if it meant elbowing my way through the throngs of people taking selfies and pictures of their children next to these lovable lapins. 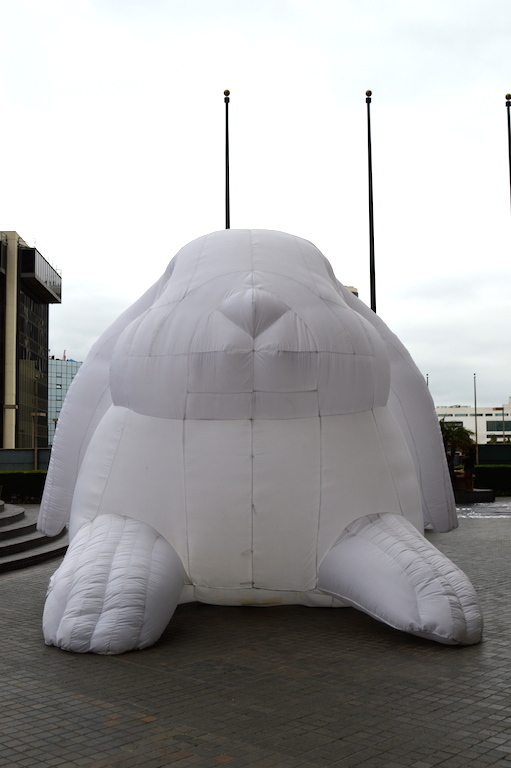 Apparently, this exhibit is supposed to be a social commentary about environmentalism, but regardless of the artist's message, I just like bunnies. I used to have a pet rabbit named Sophie, who looked a lot like the lop-eared rabbit featured in the exhibit, so seeing these bunnies reminded me very much of my beloved pet. 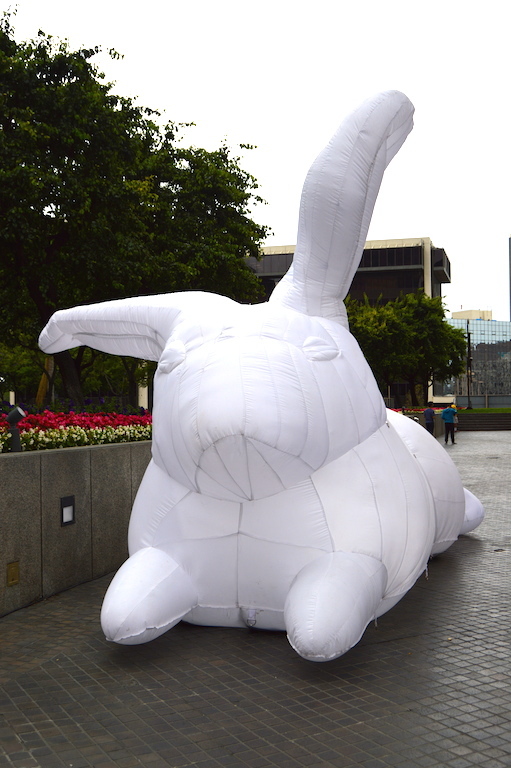 At night these rabbits light up, although, unfortunately, I didn't get to see them in all their glory at night. However, I am sure it would have been very cool. 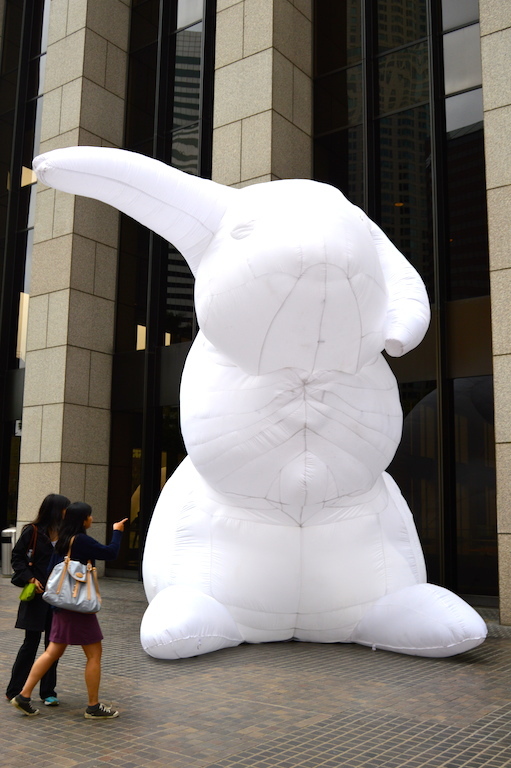 Below you will see some more photos of these gorgeous, inflated bunnies, which are on a tour of the world. 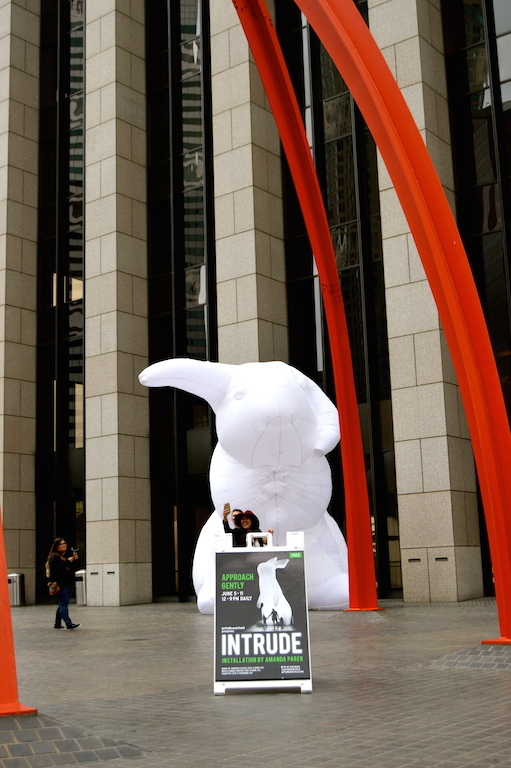 Check out their schedule here to see if they will be hopping to a city near you. They are definitely worth checking out! I'm not quite sure I get their message, but I like the bunnies too and would have wanted to go check them out too! I bet they look pretty cool at night all lit up!